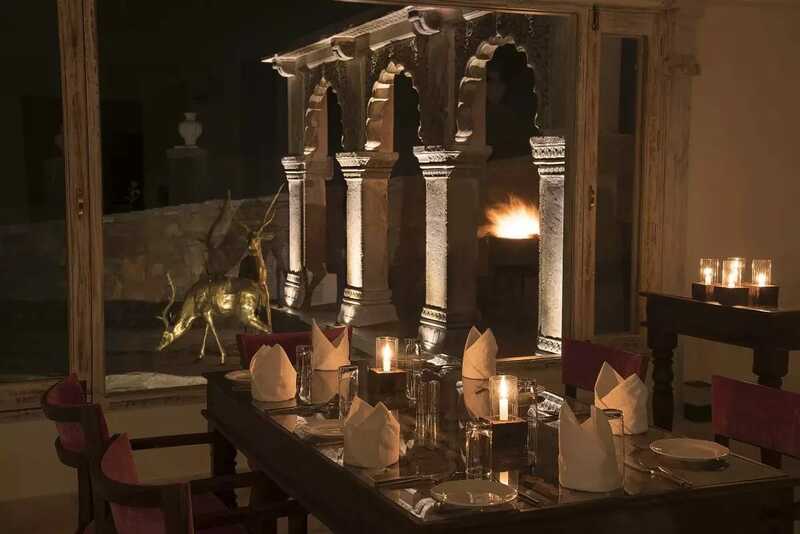 Fateh Safari Lodge is located in the most picturesque area of Rajasthan, amidst the natural surroundings, on the edge of the Aravalli Hills, at 1100 meters above sea level, same height as Kumbhalgarh Fort. It is an ideal base for exploring stunning views of the plains of Marwar and the Kumbhalgarh Fort. The property features a wide range of facilities to make your stay a pleasant experience.Discover all Kumbhalgarh has to offer by making Fateh Safari Lodge your base. Guests can enjoy wildlife safaris to the Kumbhalgarh Wildlife Sanctuary and soft adventure activities like bird watching, trekking, walking safaris, etc. Day excursions to Ranakpur and Haldighati are also an option. Security Guard, Internet/Wi-Fi, Complimentary Newspapers in Lobby, Swimming Pool, Family/Child Friendly, Laundry Facilities, Recreation, Airport Transportation, Wedding Services, Room Service. Child Care, Iron/Ironing Board, Ceiling Fan, Attached Bathroom, Basic Bathroom Amenities, Balcony / Terrace, Moisturiser, Smoking Rooms, , House Keeping. User reviews for "Fateh Safari Lodge Udaipur"